I finally got around to reading my May/June issue of Poets & Writers. In it is a story about people who declare themselves as names of books. Not names of books that already exist, though there is a place for that, but names of books of stories only they can tell – and use to provoke. The Human Library was started in the year 2000 in Denmark as a mode of gathering people together in public spaces such as libraries to interact within their communities, to create a safe place where community members can communicate and hear stories from those in their communities they might not normally meet. My thinking of Human Library sparks a memory from the end of Ray Bradbury’s Fahrenheit 451, still read as much as ever, still questioned from time to time and just celebrated its 60th Anniversary last year (2013). In that novel, we follow the protagonist who decides he must read books even though all books have been banned. In fact, they are burned. The protagonist is a Fireman, he starts fires to burn books instead of putting them out. At the end of the novel, the multitude of characters who have found ways of getting away from the government, don’t seem to care about books as physical objects (paper at the time of its publication). They have taken a new approach to keeping the great works of literary artifice alive. These characters memorize whole books and then become known as the title of the book they memorized. 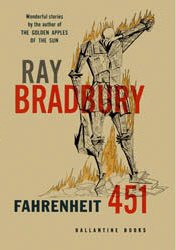 Maybe the Human Library was inspired by Ray Bradbury’s great novel. Who knows? But what I do know is that if people gathered to tell their novels, their stories, this would be an entirely new idea of the “book club” wouldn’t it? *Please contact to chat about intersectionality. This entry was posted in Community, intersectionality, libraries and tagged Fahrenheit 451, Human Library, Ray Bradbury, University of Rochester. Hey Jess, I love this, how very cool! The idea of a human library sounds pretty inspiring. I immediately thought of Bradbury’s book (before I got to the part where you mentioned it). They are still reading that book in modern high schools. I kind of wish someone would make a new movie version, the last one was done in the 60′s. I remember when I read that book as a youngster, I was fascinated by the solution that the dissenters had for saving books.